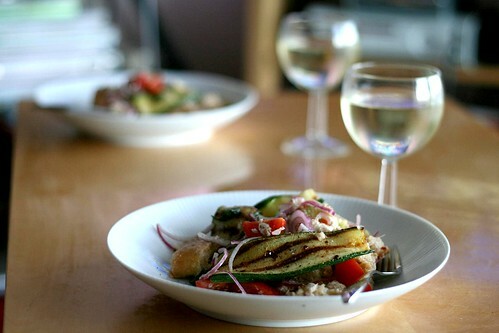 We don’t eat many courgettes and I wouldn’t normally get excited about a courgette recipe, however, last week we found a tasty courgette panzanella which we would recommend. The courgette is basted in a dressing of olive oil, sugar and chilli flakes and is then griddled. 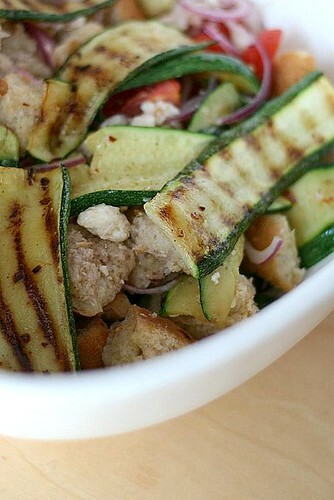 The courgettes are then added to a mozzarella, tomato and basil panzanella.